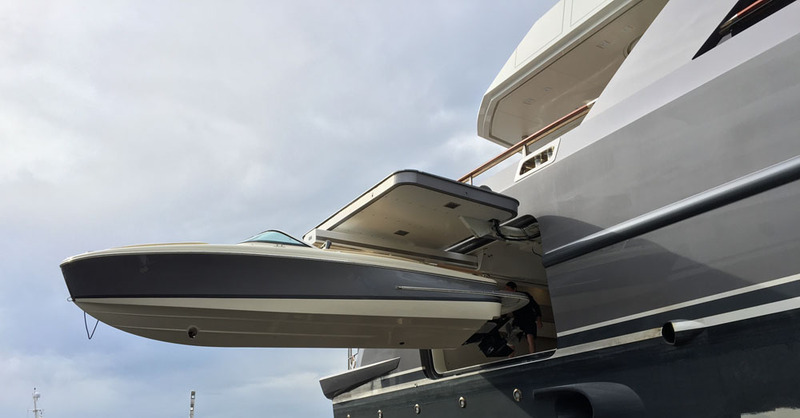 This type of door is opened upwards by a hinge system. 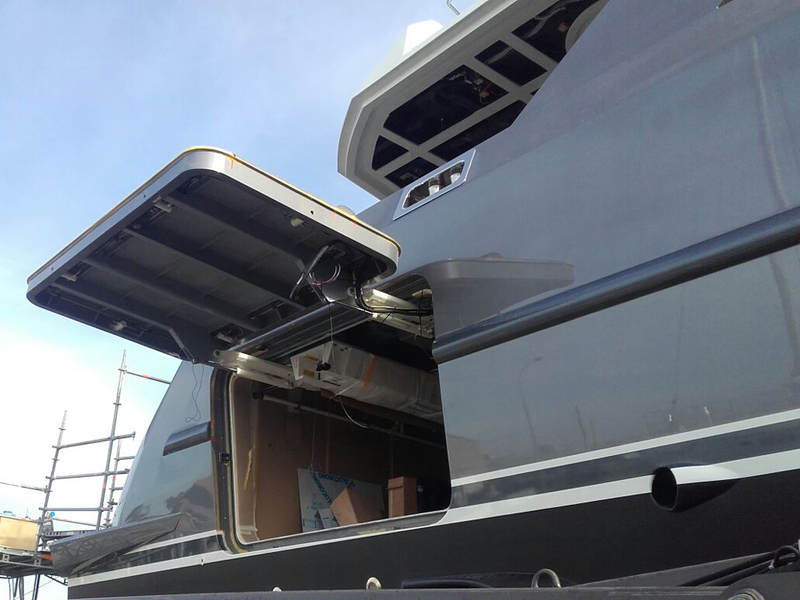 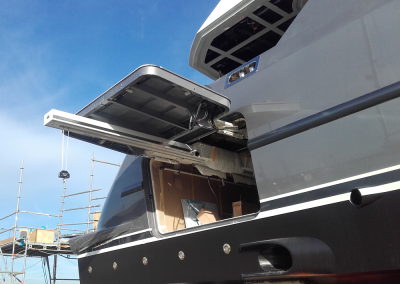 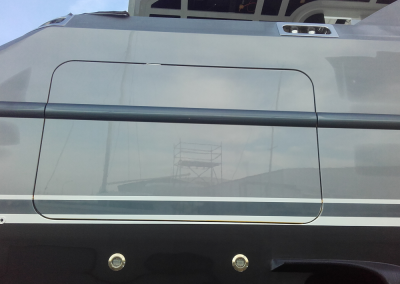 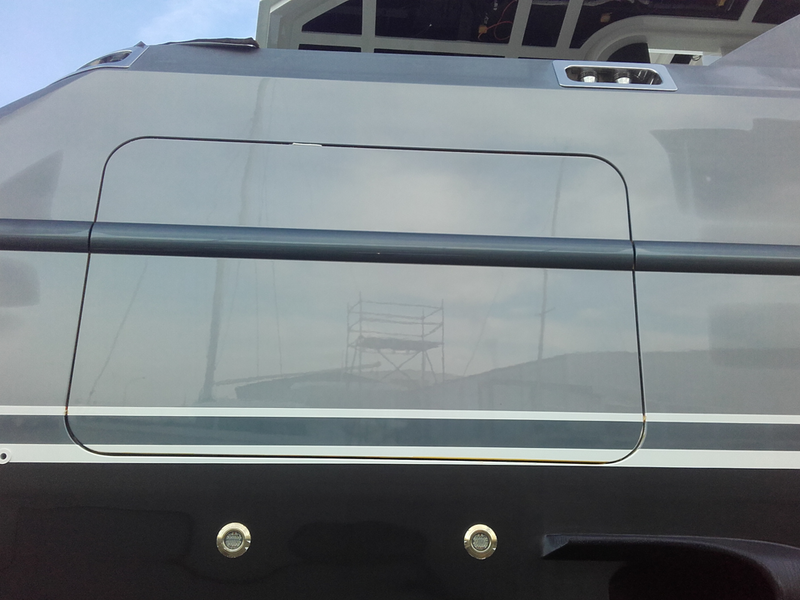 The main advantages for this hinge system are easy installation and a better clear opening in the hull door opening to launch the tender. 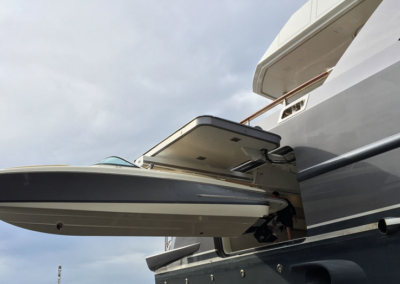 This sliding hinge system replaces the traditional C-hinges when these C-hinges cannot be used for whatever reason. In combination with a Hydromar sliding beam this tender garage arrangement provides a high quality solution with optimal clearance between door, hull and tender.